A list of power foods in January is becoming as traditional as New Year’s resolutions. Some of my favorite power foods I’ve added to my diet over the years have been Greek yogurt, kale, pomegranate, black beans, flax, and of course, chocolate. But as often as we are told to add power foods to our diets, there are some you still may have not tried. 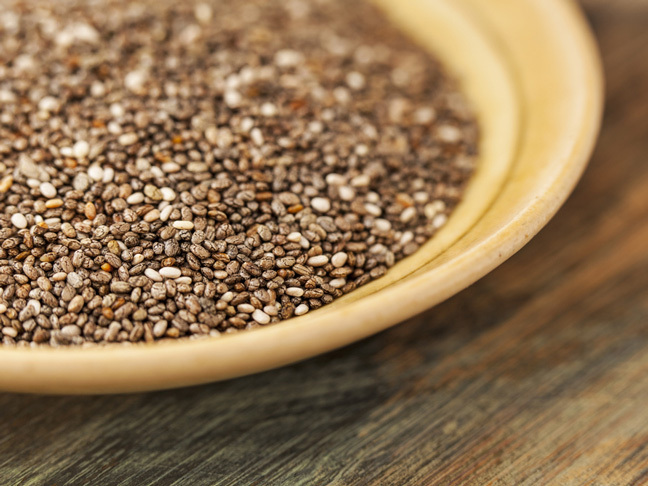 Though these teeny tiny power houses have been the hyped up health food for years, they still may just seem like the things you rub on a Chia Pet. Though they’re the same thing, I’d recommend buying them from a health food store instead of cracking open the packet that came with your white elephant gift last month! I love chia seeds for their neutral flavor, which means I can put them in anything from salads to smoothies. I can either grind them up or leave them whole, and my body can still access their nutritional benefits (Though I also love flax seeds, the only way to access their full benefit is to grind them up right before you eat them). They’re high in fiber and omega-3’s and boast calcium, iron, zinc, magnesium, manganese, and copper. My kids and I will actually just eat them straight from a spoon (and chase them down with a glass of water), but one of our family’s favorite ways to enjoy them is in a chia seed pudding. These are probably my new favorite power food. And they’re great for so much more than just hummus (Oh, but how I love a good hummus!). I love them tossed in a salad or roasted with olive oil and other seasonings. In one cup of cooked chickpeas, you’ll find 25% of your daily requirement of iron, 15 grams of protein with all nine essential amino acids, and 12 grams of fiber. Though they’re terrifically convenient when you buy them in a can, if you can find them dried at your local health food store, they can be much less expensive and almost as easy to prepare—rInse a pound of them and place them in the bottom of your slow cooker. Pour over 8-10 cups of water, cover, and cook on high for 4 hours. They’re delicious right out of the pot, or you can strain them and refrigerate of freeze them in separate containers for later use. Oh, and just so you know, 1 1/2 cups of cooked and drained chickpeas is equal to a 15-ounce can of chickpeas that has been rinsed and drained. 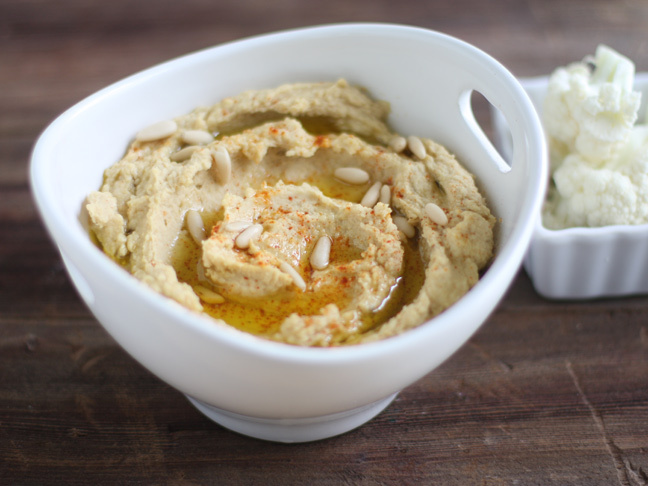 Looking for a classic way to make hummus? Here’s my favorite recipe! Is it just me or is cauliflower everywhere these days? People have been using it as a low-carb substitute for things like pizza crust and mashed potatoes. And it’s no wonder. 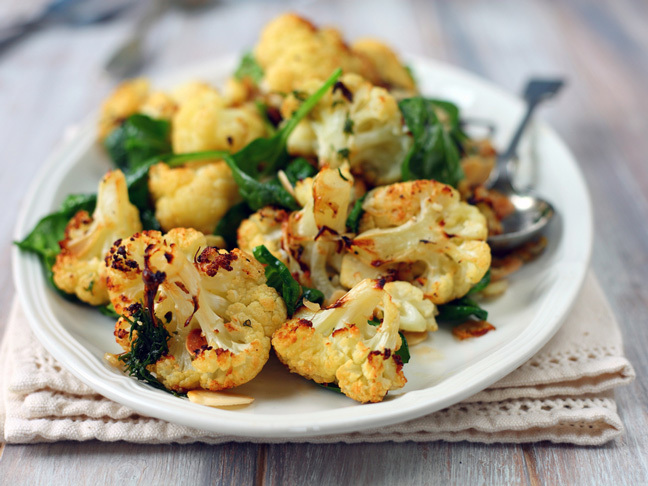 In one cup of raw cauliflower, you’ll find 75% of the Vitamin C you’ll need for the day, three grams of fiber, and all for under 25 calories. We love eating it either raw by itself, or dipped in hummus. But we also love it roasted. To roast mine, I toss a pound or two of florets with olive oil and salt and pepper and spread in a single layer on a baking dish. I roast at 400 degrees for about 20 minutes, or until browned and crispy. This power food has definitely been catching on in our house. 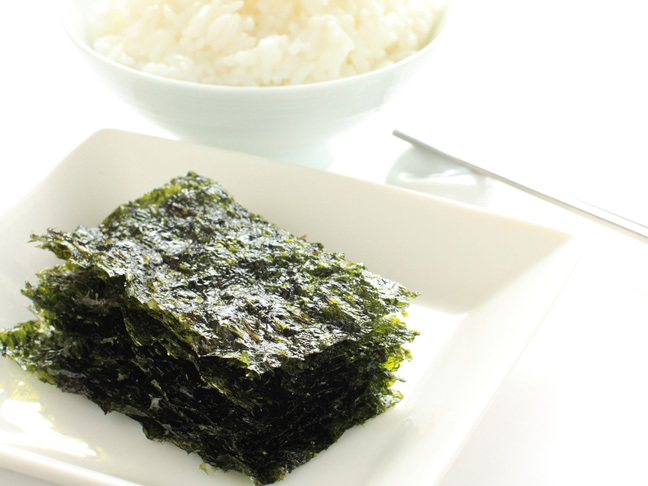 My daughter, who is very picky otherwise, would snack on roasted seaweed snacks all day if we could keep it in the house, but we all eat it so fast, it’s hard to keep in the pantry. In a ten gram serving, you get a whole gram of protein, and 35% of your daily requirement for vitamin A.
I’ve seen little packets of the seaweed snacks in most grocery stores and health food stores, but our favorite brand would definitely be Annie Chun’s. Lentils just seem to be the undervalued food in the legume world. They’re loaded with B vitamins, protein, fiber, and iron. 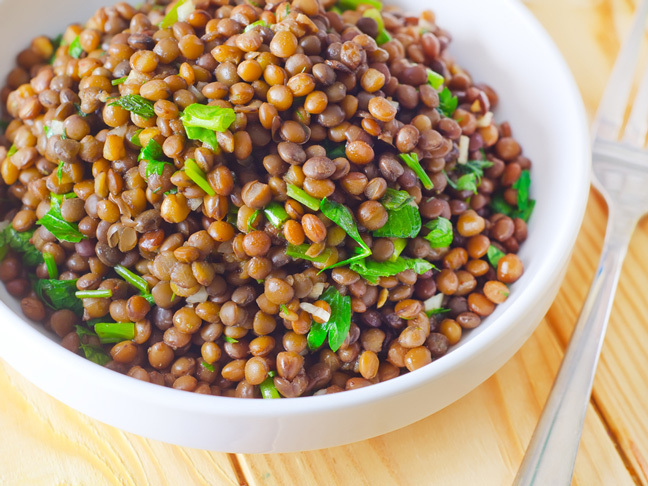 In fact, one cup of cooked lentils supplies a third of what you need in iron, over half of what you need for fiber, and nearly the full daily requirement for folate! Granted, there are some horrible recipes for them out there that surely scared me away from them until I was in my thirties, but there are some wonderful ways to enjoy them, too. 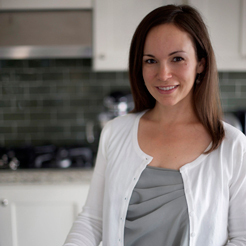 Try Heidi’s recipe at 101 cookbooks for her Coconut Red Lentil Soup. Are there any power foods you’re newly incorporating into your diet? Let us know in the comments!